Affordable business-class service to Europe? Seems too good to be true, but that’s exactly what is being offered by La Compagnie, the French airline launched last year with flights between New York (Newark International Airport) and Paris Orly. And now the fledgling carrier is set to launch New York-London service with a $1,007 round-trip fare, including taxes and fees, valid through June 30. The boutique business-class airline will launch the new route between Newark (EWR) and Luton Airport (LTN), with the first flight scheduled to depart on Friday, April 24. It will operate four times weekly with plans to increase service to six times weekly by June. Flights depart Newark at 10:20 p.m. and arrive in Luton at 10:30 a.m. the following morning. Return flights depart Luton at 5:45 p.m. from Terminal 1 and arrive the same day at Newark at 9 p.m.
La Compagnie, which launched service in July 2014, is an all business-class airline offering regularly scheduled transatlantic flights between New York (Newark International Airport) to Paris (Charles de Gaulle) and, as of April, to London (London Luton Airport). The airline was first formed in October 2013 by Frantz Yvelin, founder of the former L’Avion business-class airline, which offered service between Newark and Paris, and Peter Luethi, co-founder and deputy CEO, a former Swissair and Jet Airways chief operating officer. La Compagnie is allowed to fly to Paris and London from the U.S. under the Open Skies II agreement forged between the U.S. and Europe. La Compagnie's two Boeing 757-200s, both in baby-blue livery, feature 74 lie-flat seats in a 2x2 configuration. Inflight amenities include Samsung Galaxy Tablets preloaded with movies, newspapers, games and books; Caudalie cosmetic amenity kits; and dining services created by Michelin-starred Chef Christophe Langrée, accompanied by fine cheeses, premium liquors and French wines. Once the London promotional fare period is over, La Compagnie will continue to feature three fare levels, as it does on its Paris flights—Best Buy, Semi-Flex and Full Flex. After the company introduced Newark-Paris flights last year, for example, fares rose to roughly $1,500 round-trip. "It is time to bring business-class air service to London back to where it belongs with personalized service at respectable fares," said Yvelin. "We are pleased to build on our first-year success by expanding to London Luton Airport." Located just under an hour from London city center by train, Luton offers convenient access and a quick check-in, security and boarding process. In 2014, the airport began a $110 million transformation intended to expand and modernize the terminal building with new shopping and dining options as well as a new business-class executive lounge, which will be used by La Compagnie. 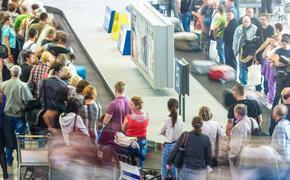 The airport’s enhancements also aim to improve transportation links with new parking facilities and rail links. The transformation is expected to increase Luton’s annual passenger capacity from 10.5 million last year to 18 million by 2026. According to Luethi, even though Luton is roughly 50 minutes to an hour from Central London by train, its quick boarding and disembarkation process, as well as the major refurbishment program and new lounge, made it the most attractive option for La Compagnie, compared with Stansted Airport and London’s two other major airports, Heathrow and Gatwick. Luton also has good intra-Europe connections using RyanAir and La Compagnie will be the only international airline serving the U.S. from the airport. What’s the next step for La Compagnie? According to Luethi, the airline will seek to offer two flights a day for both the New York-Paris and New York-London routes, with both morning and evening departures. That will entail adding two more 757-200 aircraft for a total fleet of four planes. 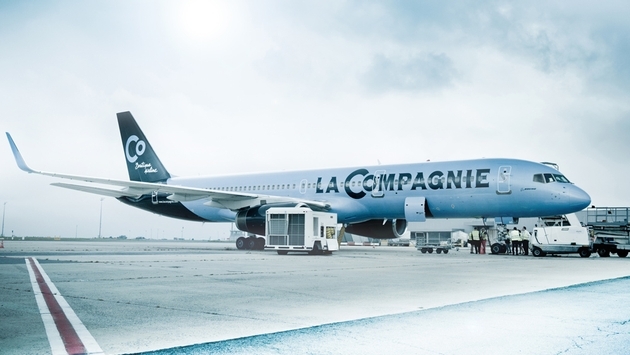 But Luethi points out that with a 20 percent return factor, La Compagnie is proving it can satisfy its passengers with a boutique airline that provides a much smoother airport experience and a completely open cabin with no upgrades or downgrades, as well as great service.